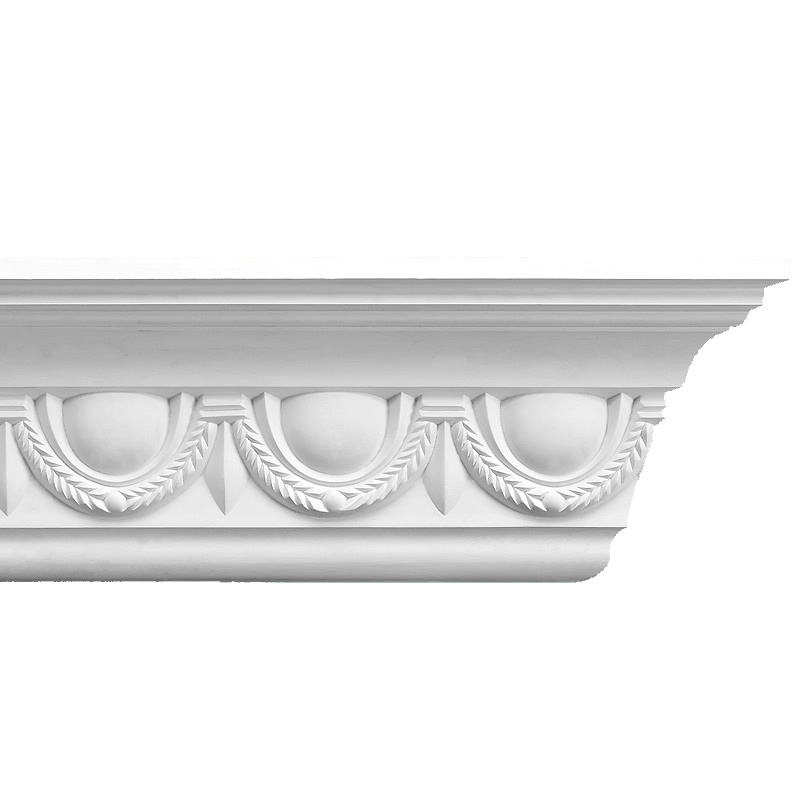 The large ornate Egg and Swag plaster coving is a traditional mid Victorian Plaster Coving design. 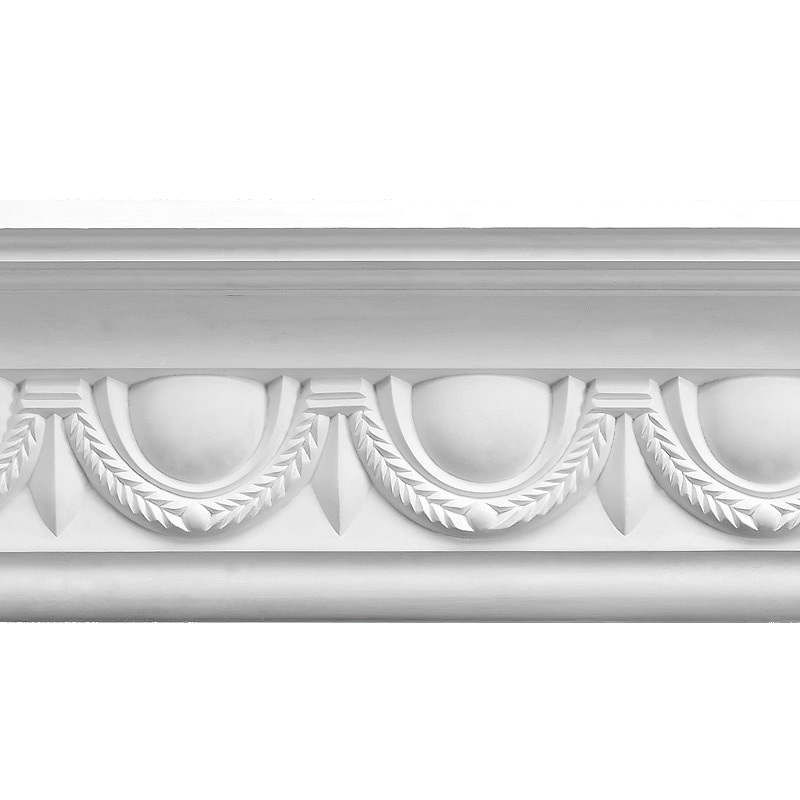 This coving features egg and swag mouldings which work well in period homes with other original details. 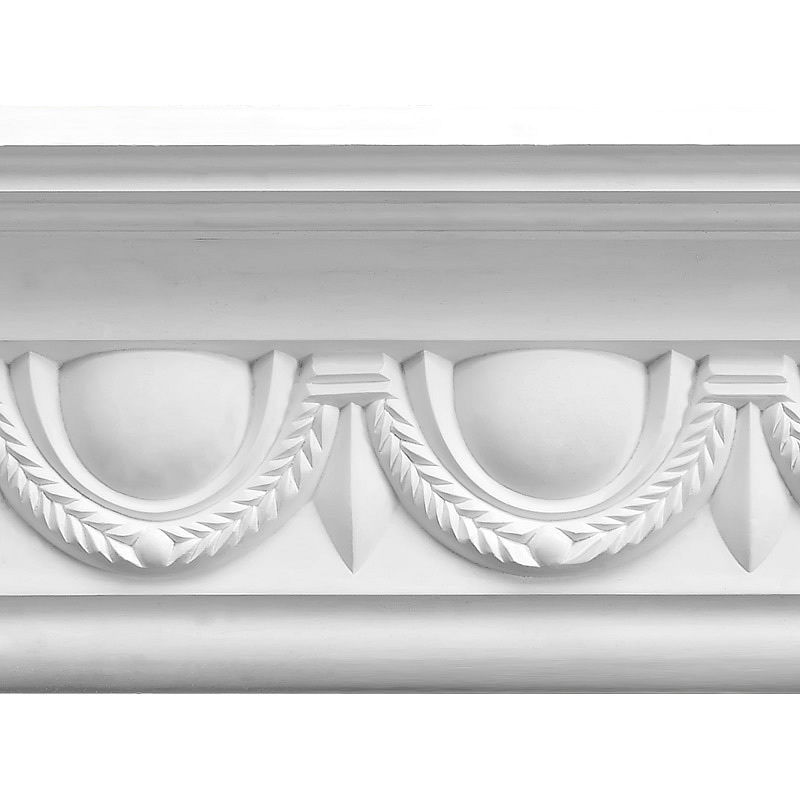 This coving has a projection of 98mm (4 inches) and a drop of 135mm (5.3 inches).